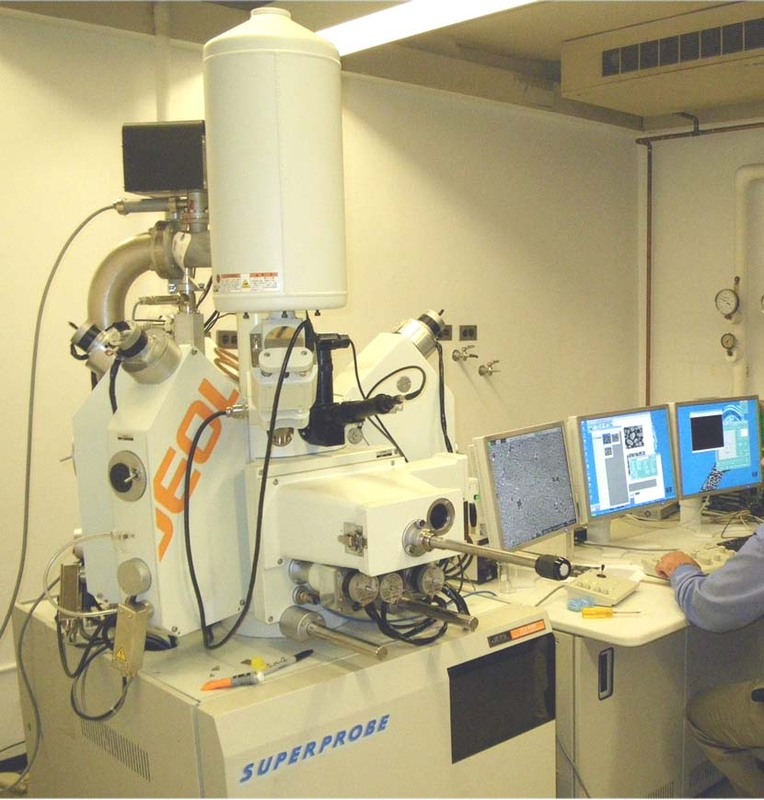 The MIT Electron Microprobe Facility serves as the centerpiece of analytical instrumentation at the Center for Geochemical Analysis (CGA) in the Department of Earth, Atmospheric and Planetary Sciences (EAPS) for research and teaching activities in geochemistry, petrology and geochronology. It serves a broad spectrum of research scientists at MIT (EAPS, Material Science and other engineering and science departments), Woods Hole Oceanographic Institution (WHOI), neighboring universities, academic institutions and the industry. Its capabilities include complete micron-scale quantitative chemical analysis and imaging with back-scattered electrons, secondary electrons, x-rays (elemental mapping) and hyperspectral cathodoluminescence. Analytical services for the faculty and professionals, and user training are available. An hourly fee is charged.